Fresh from teasing the collaborative pack, Carhartt WIP and Converse have given an official look at their Chuck Taylor All-Star 70 “GORE TEX” pack. The new capsule sees the classic silhouette wrapped in GORE-TEX technology, with each colorway featuring a waterproof inner membrane. The fabric manufacturer is also credited with branding on its heel and upper. The sneaker comes in white or black with bright yellow accenting, a reference to the capsule’s utilitarian hi-vis influence. Other features of the sneaker include rubber print detailing, 3M reflective taping and three sets of laces. 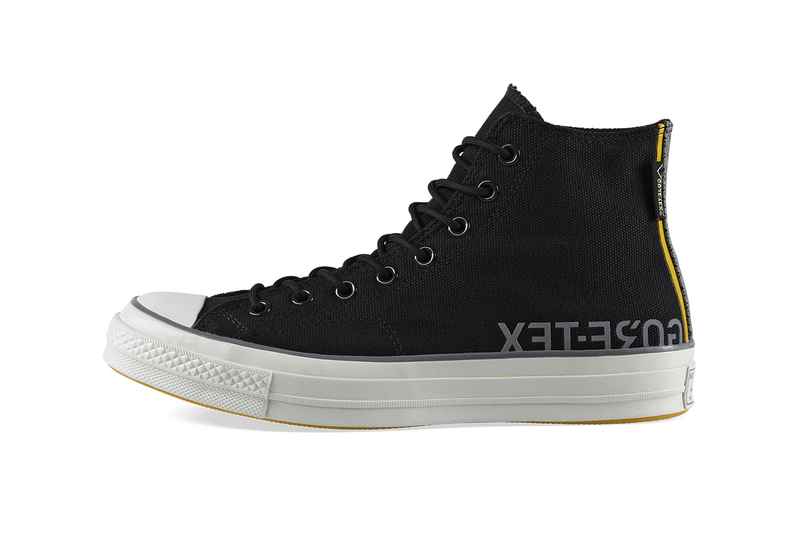 Lastly, the shoe is finished with Converse and Carhartt WIP co-branded footbeds. The pack is set to drop on February 21, and will be available exclusively at Carhartt WIP’s web store and physical locations. Kendall Jenner and Shawn Mendes join the cast. An array of exclusive apparel and objects. The legendary designer was 85. Available now at Dover Street Market. A friends and family exclusive in honor of Verdy’s wife. Introducing the ’90s classic to a whole new generation.